This RUN is signed, numbered and comes with a Certificate of Authenticity from Tony Clough and 1xRUN. PLEASE NOTE: This 2-print set does not come with matching numbers. 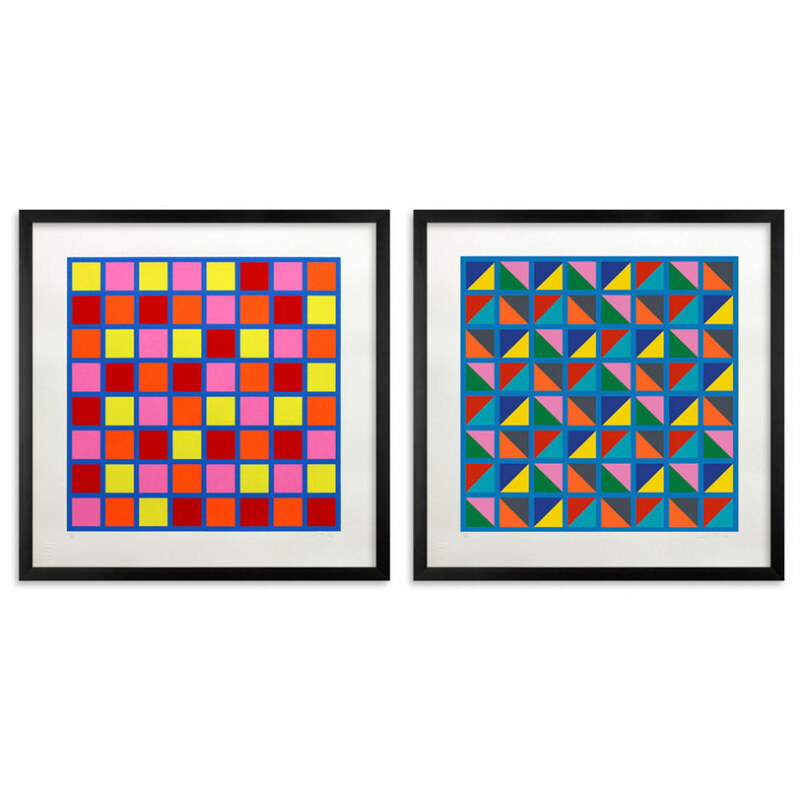 "These two print editions really only exist as original prints but were inspired by my recent obsession with squares and other simple geometric shapes. I have several original paintings that are available that slightly resemble this style but they are much more stylistic in terms of texture and color. 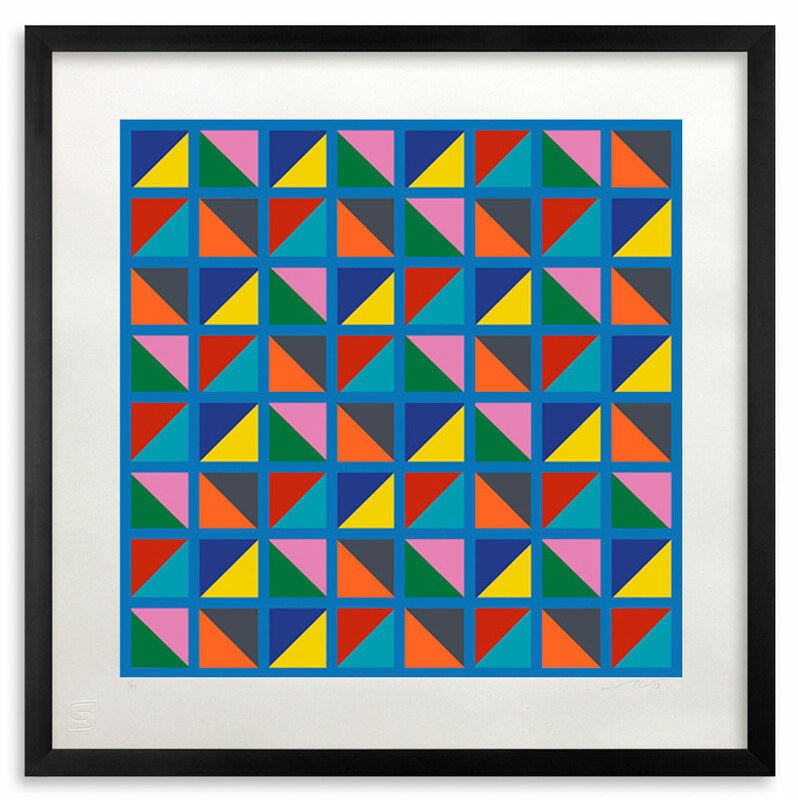 Born and raised in Fort Wayne, Indiana and living in Los Angeles California, Tony Clough is the owner of Serio Press Fine Art Editions which specializes in hand made original serigraph editions and fine art reproduction as serigraph editions. His personal work incorporates silkscreen, collage, acrylic painting and sanding. 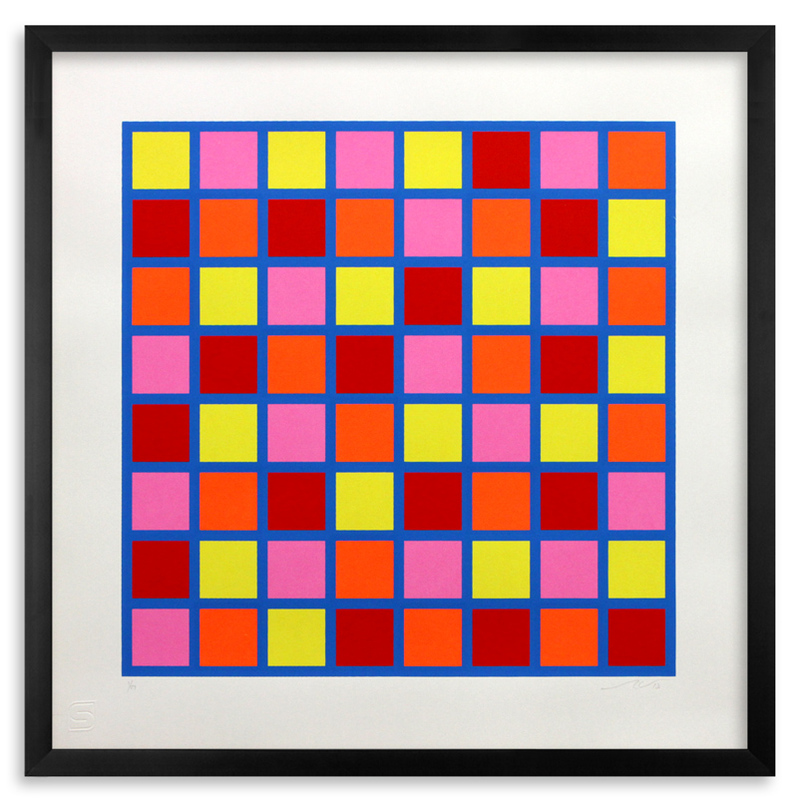 A master printer Tony Clough has 6 years of experience working with artists to achieve the goal they have in mind. Artists Tony has worked with over the years include Ron English, Shepard Fairey, Futura, Blek le Rat, Gajin Fujita, Frank Romero, Retna, Saber, Revok, D*face, Anthony Lister, Know Hope, Mear One, Carlos Almaraz, Speedy Graphito, Becca, Germs, Andrew Foster, Ben Eine, Haze, John Van Hamersveld, Jim Morphesis, Mark Dean Veca, Sage Vaughn and many others.